Due to some "special programming", there will not be any Free! next week. 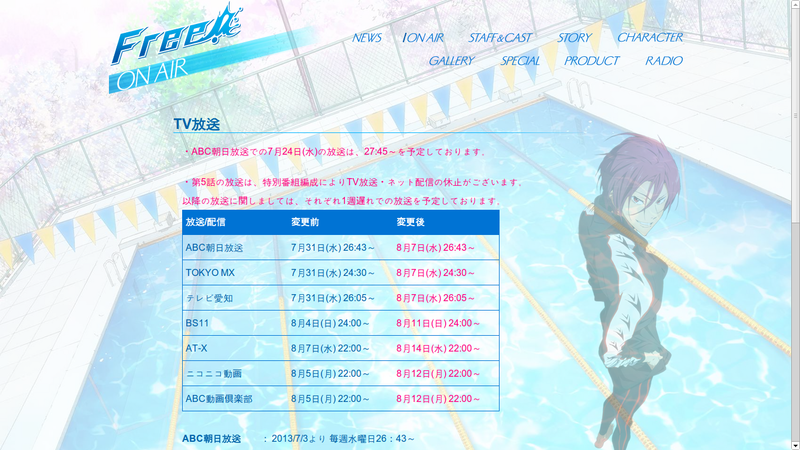 The next Free! episode will be aired in one fortnight, on August 7th (Wednesday). The new Nexus 7 is here!